In the interest of reaching my July/August goals, I have been looking for ways to reach out to companies, brands, and products. I found a great site through a fellow blogger called Influenster. From their website, Influenster is a product discovery platform that guides our members to products that suit their interests and needs, as well as how to use them. We provide crowdsourced opinions on products through our reviews and take it one step further with full-sized product sampling in our exclusive VoxBox campaigns. You don’t even need to have a blog to sign up! You just must be willing to give your honest reviews on products (which you’ll receive for FREE!) and share them with your Social Media Followers. Super easy…and a lot of fun. 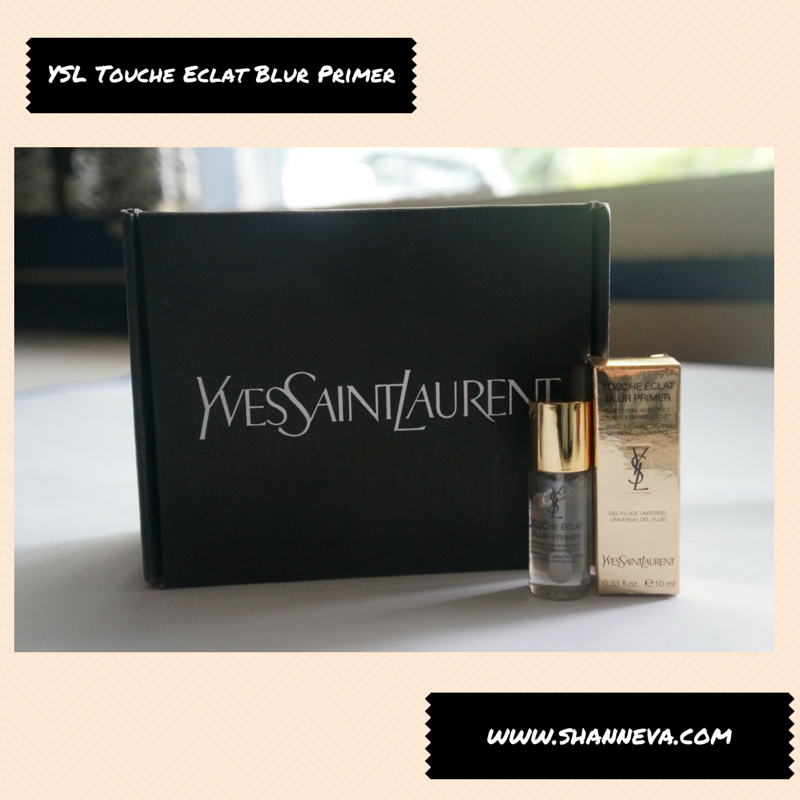 For my first VoxBox, I was really excited to receive a Yves Saint Laurent box with YSL Touche Eclat Blur Primer and Perfector. As I mentioned earlier, I received these products free of charge. Hooray! To be honest, I don’t wear much make-up most days. Between getting up super early with the kids, changing diapers, running errands, and breaking up fights, there’s not much time to have a great beauty routine. However, if I’m going out at night with the ladies or if I have a fundraising event, I want to look my best. These YSL products are perfect for that! So, here we go…hope you like my Vlog. LOVE this!!! 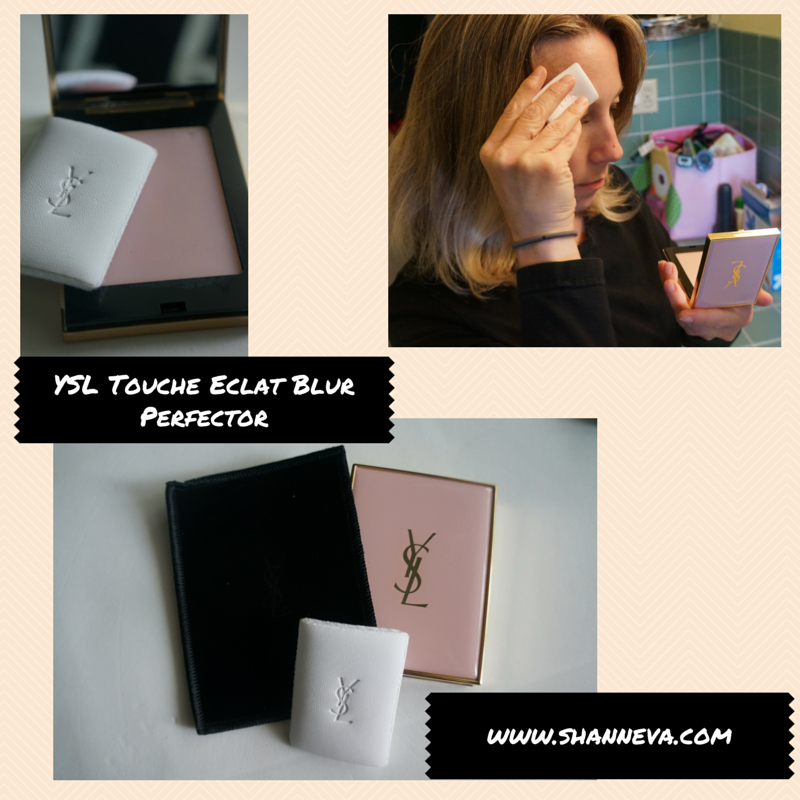 I’ve never tried any YSL products because like you, I don’t wear too much makeup day to day and its so expensive however I will have to check this out!!! I actually didn’t realize how expensive the products were, but they are really, really nice. Wow! This is a very informative post. Plus I never really thought that influester was like that. Thanks and I am going to join. Great post! Thank you so much! These actually didn’t have any scent, which is good since I have sensitive skin. You did a great job vloggin. Although the products are expensive they look like they be worth it. Maybe worth the investment if you are not using all the time. I was pretty excited. Thanks! Great vlog! I also like Influenster – last one I did they sent me coupons to get free ice cream so I was happy with that! Nice. Free ice cream is awesome! Congrats on your first vlog! You did great. I really want to try this now! you rocked your vlog! and your review! Awesome idea. I’ll have to check this out! How cool is that, so you just sign up and they send you products that you review on social media? This is the first time I’ve heard about Influenster and I am checking their website right now. I also signed up and I hope to find it fun, just like you did. I will keep you posted. oooo it’s always nice to get free stuff! I’ve never tried YSL maybe I should treat myself.. Yes, it’s worth the splurge. GREAT JOB! You’re so brave to do this. I am such a scardie cat! Ha! Well, thank you. I think you would do great! I don’t think vlogging is for me. You did a great job! I would have love to receive this Voxbox. I grew up in strict Catholic girls schools where wearing make up was forbidden. As an adult, I guess I never found a need for it. I guess it is never too late to try! I would also be giving Influenster a look. Thanks for sharing. Never heard of this so will look into it whether it fits my purpose. Thanks for sharing and I love YSL! Great job on your first vlog! You are a natural! I have heard good things on these companies. Looks like they have great products for you to try. Yes, I was really happy! How fun! I think I signed up months ago and never followed up. I should check on that…And, way to do a vlog! You did great! It was so good to hear your voice Shann and you’re so pretty :). 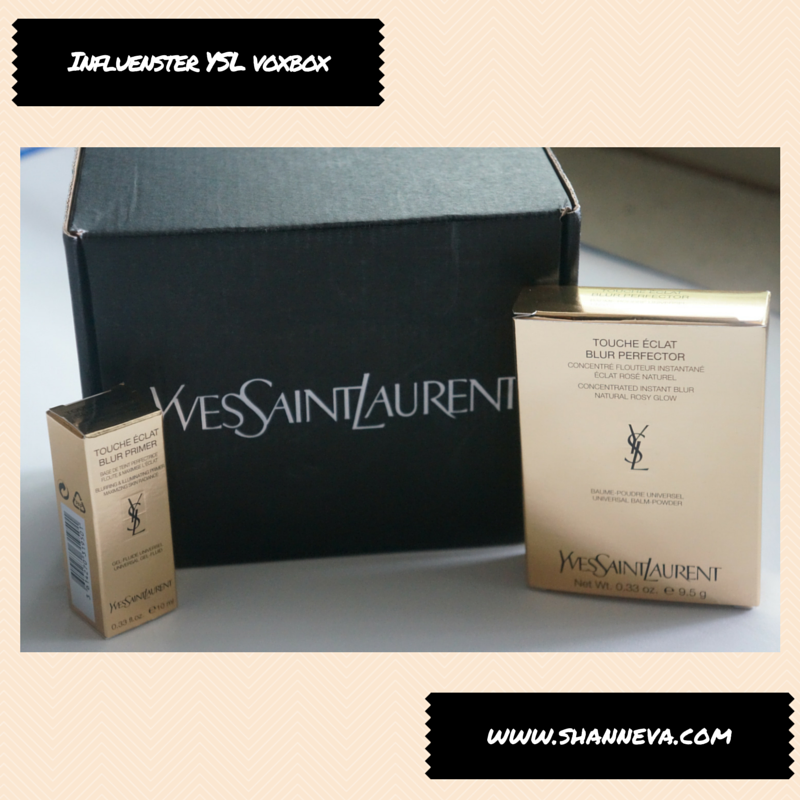 I love YSL products – you definitely scored some goodies!! And your vlog was on mark! Great review hun! Hope you’re having a great weekend! Awe. Thank you so much Cori. I really appreciate it. Hope you’re having a great weekend too! Neat program. I like that they seem to send some high quality products. Thanks for the info! I might have to take a look and see if they offer anything in my niche. Yes, it seems like a pretty cool site. You can fill in your interests, and I think they will tailor the programs to you. Love it that you ventured into vlogging…I really enjoyed the review and have heard good things about Influenster. I love the blur protector! I’ve heard of this site but I haven’t tried joining, I may consider it this time. Very well written post! I only had a parfume from YSL and was great. They have awesome products but a bit expensive…but if you have the money is worthing. Influenster is great to work with. So great! You look so pretty! (well you always do :)) And I need to check out that program as well. I love getting things from Influenster. I even won one of their badge prizes once. It was great. I’ve never tried any YSL products before. Your vlog was great! I’ve wanted to do a vlog but god I hate how I look on camera. Thank You for sharing! I wasn’t so sure I would like it either. I almost made my husband retake it, but then I just kept it. Exciting! I’m totally not a person who splurges on makeup but this is a great idea.